Maintaining a good credit rating is important to have a good credit score. Check out 20 tips to increase your score, based on the 5 components on which FICO computes your credit score. 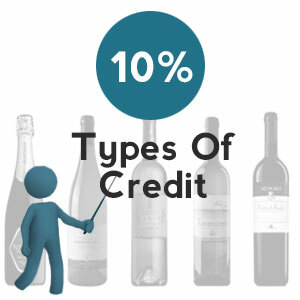 Maintaining a good credit rating is important to have a good credit score. Check out these 5 factors along with the percentage and know what you can do to improve your score. 1 Organize your bills: Keep all your bills at one place. If possible, change your bill payment dates to one day, as it's easier for you to remember a single date. 2 Make payments on time: Make sure you always make payments within the due dates; otherwise, it’ll impact your scores even if you’re late by a few days. 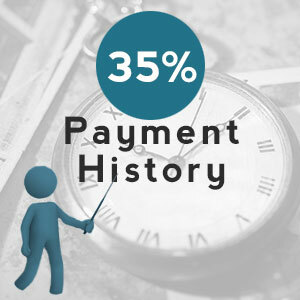 3 Schedule payment date: Schedule automatic payments on your loans from your checking account. However, make sure you have sufficient funds in that account. Also, arrange automatic payment according to your payment schedule. 4 Stay current on your payments: If you've missed payments in the past, get current on your payments and stay current. It will add positive information to your credit report, and the negative information will count for less. 5 Contact your creditors if you're in financial hardship: If you're struggling to pay your creditors, then contact them, explain your situation and request for an alternative payment plan. It will help you stay current on your accounts. 6 Negative item will stay on credit report for some time: Usually, a negative item stays on the credit report for 7 years. A Chapter 7 bankruptcy stays on report for 10 years. So, even if you pay off a collection account, it'll stay on your credit reports for 7 years. 1 Keep outstanding balance low: A high outstanding debt will affect your credit score negatively. So, keep your balances low on credit cards along with other revolving credit. 2 Don't open new credit cards to increase available credit: Opening new credit lines can lower your scores. So, do not open several new credit cards to increase your credit limit. 3 Repay debt instead of moving it around: Try to pay off your outstanding balance instead of moving it around. 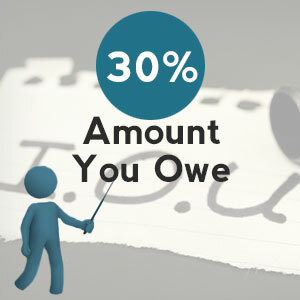 Even if you owe the same amount in fewer accounts, it can affect your scores negatively. 4 Check your credit limits: If any of your credit card issuers has increased the credit limit but forgot to report it to the bureaus, ask them to do so. Ensure that the reported credit limits on your cards are accurate. 5 Do not use your cards much: A credit utilization ratio of 10% will maximize this particular aspect of your credit score. 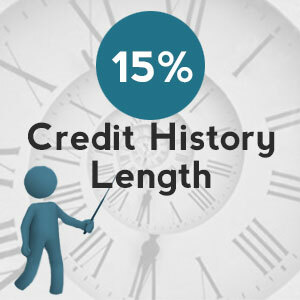 1 Do not close your oldest credit account: Closing your oldest credit account will shorten the length of your credit history, which can lower your score. 2 Don't open too many accounts at a time: If your credit history is relatively short, then don't open too many accounts in a short period. 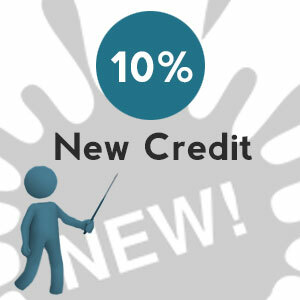 Rapid account buildup can lower your score if you're a new credit user. 1 Re-establish your good credit history if required: If you have negative information on your credit report, open new accounts and manage them responsibly. Also be patient. It will take some time, but it'll help you increase your score over a certain time period. 2 Do rate shopping for one loan within a fixed period: The agencies computing your score can distinguish between whether you've done rate shopping for a single loan or for several credit lines. Therefore, do rate shopping for a loan within a relatively smaller period. 3 Take out a secured card if you can’t get a traditional one: Try to take out a secured card and make sure it gets reported to each of the 3 major bureaus. Also, don’t charge too much on it and pay the outstanding balance at every billing cycle. 4 Convince a relative to add you to his/her existing account: Become an authorized user of a credit card by convincing one of your friends or relatives to add you to his/her existing credit card account. However, have an agreement stating the amount you can spend and how you’ll share your bill with the cardholder. 1 Manage your credit cards responsibly: You need to have credit cards and manage them responsibly to have a good score. Not having credit lines will have a negative effect on your credit score. 2 Open new credit lines only if you need: If you don't need any new credit accounts, don't open one just to have a better credit mix. Opening new types of credit lines will not help you increase your score if you're not able to manage them properly. 3 A closed account may also show on credit reports: You should know that a closed account will stay on your credit reports for some time, thereby affecting your score. When you are gathering knowledge about FICO credit score and the credit scoring model, you should know that FICO has launched its new credit scoring model in August 2014. The new model is designed to give a better idea about the creditworthiness of a consumer.